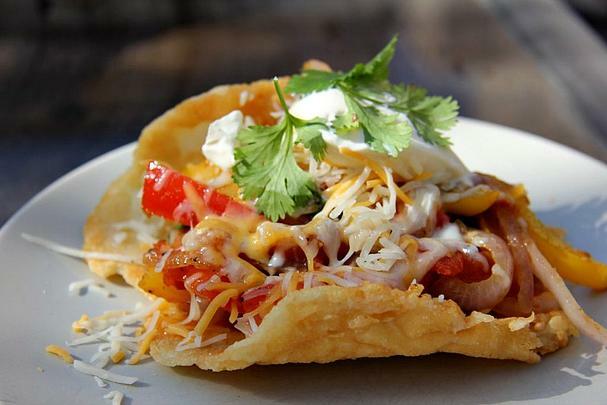 Foodista | 8 Taco-Licious Recipes for Taco Tuesday! Oh, how I love Taco Tuesday! It’s a win-win-win dinner. Win: it’s a great way to clear out leftover ingredients in the fridge. Win: kids love to assemble their own meal. Win: everyone in the family gets to customize their perfect taco. 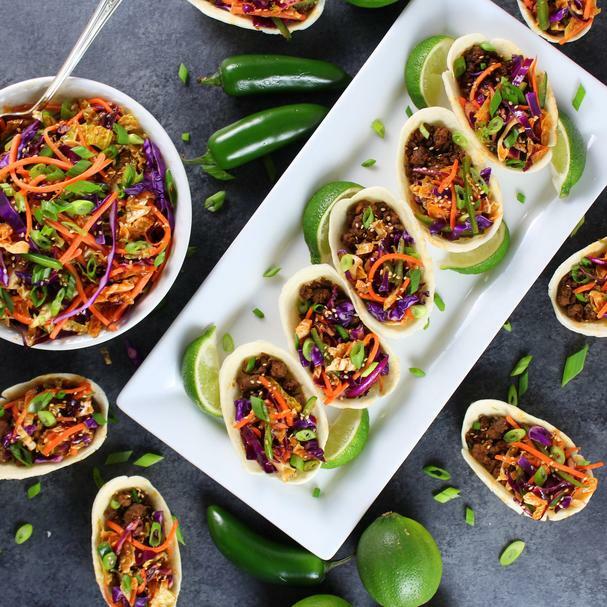 Below are 8 fabulous taco recipes for any meal of the day, like spicy beef and pork Korean Mini Taco Boats with Spicy Asian Slaw and Tempura Tilapia Tacos with Jalapeño Crema, and morning versions like Chorizo Breakfast Tacos with Potato Hash and Eggs and Sweet Potato Pinto Bean Breakfast Taco. Read on for some taco-licious inspiration from a few of our community members! East meets West in these scrumptious mini Korean tacos. For the meat filling, start with beef and pork (I know, decadent, huh?! ), then add garlic, ginger, onion, soy sauce (or gluten free tamari), light brown sugar, gochujang chili sauce, and red pepper flakes. You’ll then top your tacos with a spicy Asian slaw and a wonderfully sweet and spicy sauce. De-Lish!! 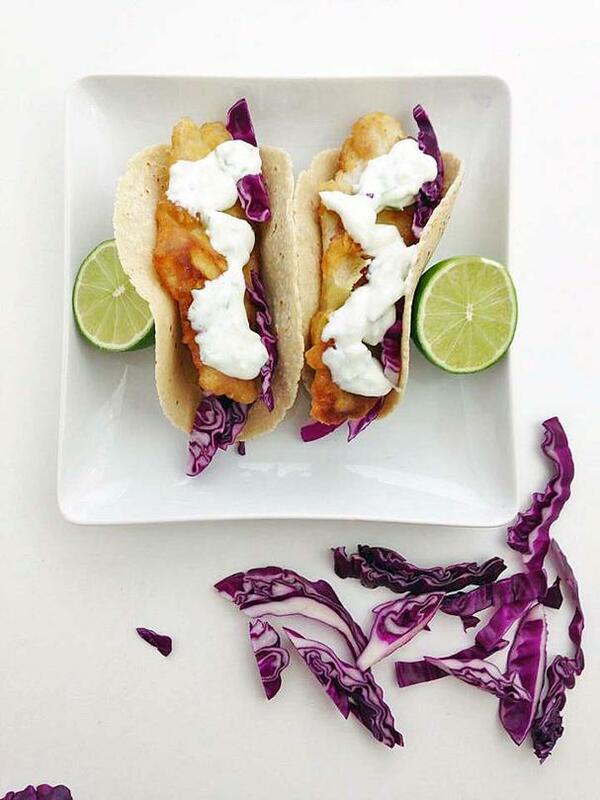 These lightly batter fish tacos are so tasty and can be whipped up in a jiffy any night of the week. Make a simple batter of flour (or gluten-free flour), egg, ice cubes, baking soda, and corn starch. Dredge the tilapia fillets (or any white fish) in the batter, then fry them in vegetable oil until golden. Top your tacos with finely shredded purple cabbage and a zesty and spicy cream sauce. Mmm mmm! 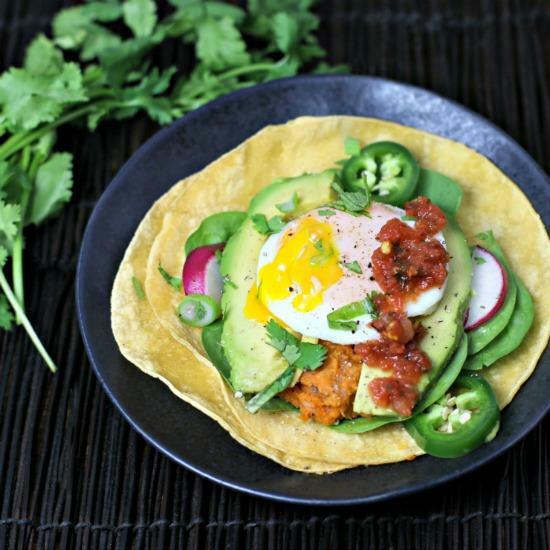 These fabulous vegetarian tacos are great for breakfast or dinner! Sweet potatoes are seasoned with a combination of zesty spices, then layered on corn tortillas with fresh spinach, homemade mashed pinto beans, avocado, and egg. Garnish your tacos with green onions, cilantro, radishes, and salsa. Nothing beats a good old slow cooker (well, the Instant Pot pressure cooker is mighty awesome, too). Little is more perfect than returning home after a long day to a house filled with wonderful flavors and dinner ready to be served. Take a few minutes in the morning to throw chicken, cream cheese, Ranch seasoning, taco seasoning, and some dried herbs into your crockpot. By evening your creamy delicious chicken tacos are ready! 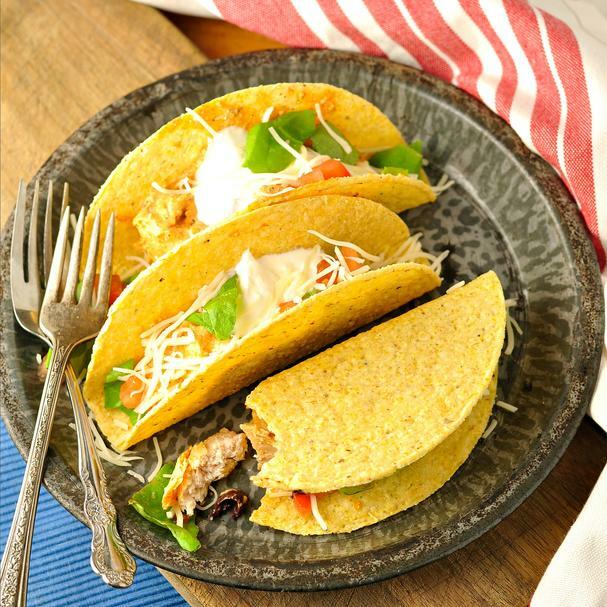 Load up your tacos in tortillas - corn, flour or the cheese ones above! - and garnish with crisp lettuce, tomatoes, avocado, onions, and hot sauce! 1 block of cream cheese (perfectly fine to use the reduced fat kind or the Neufchatel –both will have less fat). Dang, dang I love these Bang Bang tacos! Don’t worry about having to fry up the fish, just get a box of Gorton’s Alaskan Pollock Fish Sticks. 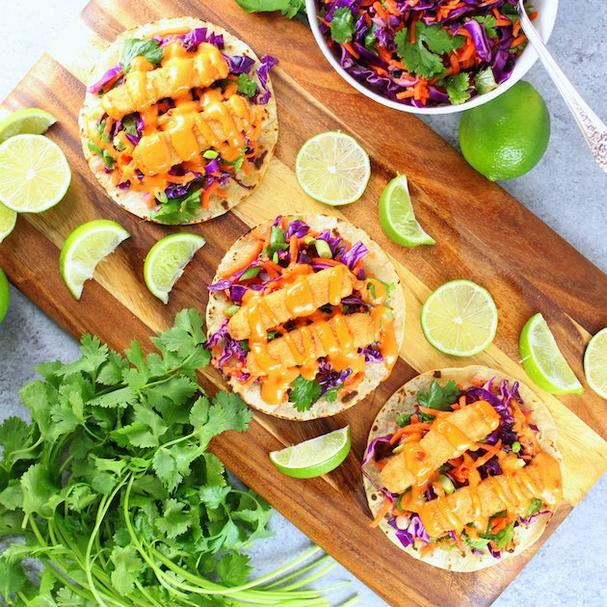 Make a citrusy slaw with brightly colored purple cabbage, shredded carrots, fresh cilantro, green onions, garlic and ginger, lime juice, honey, and extra virgin olive oil. Top your tacos with the slaw, fish sticks, and a hot and spicy chili sauce. Garnish with cilantro and serve with lime wedges. Sounds bangin’ good, don’t they? 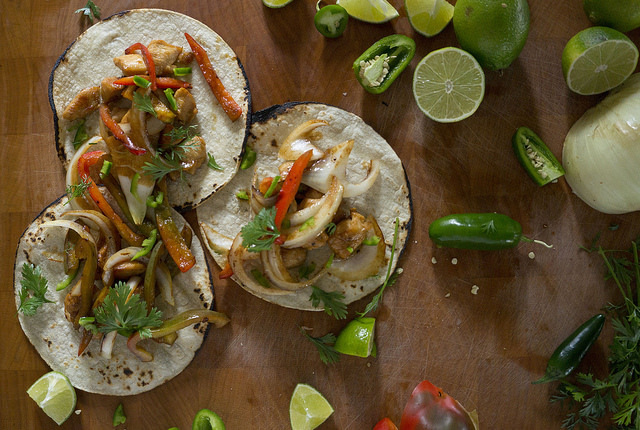 For a super easy Taco Tuesday, try this easy chicken taco recipe. Marinate your chicken the night before (or the morning of) in garlic, tomato juice, lime juice, soy sauce (or gluten free soy sauce), brown sugar and pepper. When you get home from work, simply sauté the chicken in a skillet for 5-8 minutes, then sauté some onions and pepper until tender. Pile corn tortillas with the chicken, onions, and peppers and garnish with jalapeño and cilantro, and serve with lime wedges. Easy peasy. 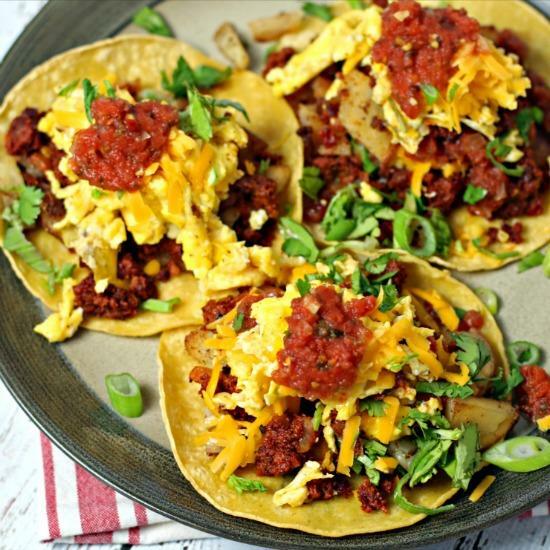 Whether it’s breakfast or dinner you’ll love these spicy chorizo tacos. A scrumptious hash is made with pork chorizo, potatoes, onion, garlic and onion powders, then cilantro-studded eggs are added to make a scramble. Top warmed corn tortillas with the chorizo egg mixture and garnish with fresh cilantro, Cheddar cheese, and salsa.